TJ’s Plumbing and Heating, Inc. is very proud to announce that we have won First Place for Innovation in the 2013 Radiant Professionals Alliance System Showcase Competition, for our project in Quincy, MA. This project combined several different alternative energy sources (geothermal and solar thermal) with Viessmann boilers, Bosch heat pumps and radiant heat. Also, due to the home’s high energy efficiency and tight building envelope, a Zehnder Comfosystem was installed to provide clean air exchanges, giving our customer the ultimate indoor climate. Our entire system culminated in our signature, diamond plated, state-of-the-art mechanical room. 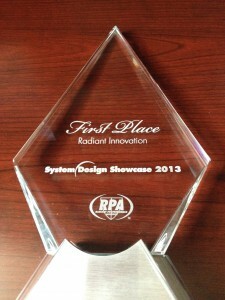 You can view photos of our award-winning project on our Project Photos page. 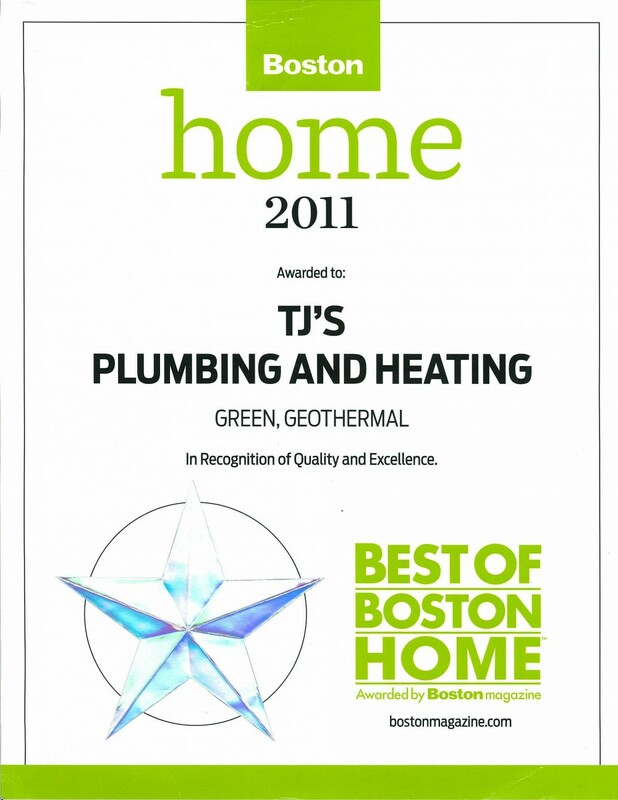 TJ’s Plumbing and Heating, Inc. is very proud to announce that we have been chosen by Contracting Business Magazine to receive the 2013 Quality Home Comfort Award, for our project in Quincy, MA. We want to thank Contracting Business Magazine for acknowledging our company for the award. We hope you will enjoy reading the digital article below and learn more about the Quincy project, and others, in the Project Photos section of our website. If you have difficulty reading the digital version, there is also a PDF article here for you to download. 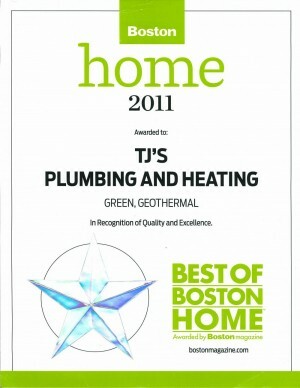 TJ’s is very proud to have received an award from Boston Magazine’s Best of HOME 2011 for our work in the Geothermal industry. 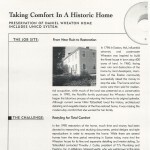 Historic homes present their own unique set of challenges when installing a new heating or cooling system. 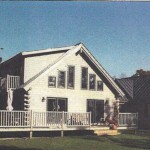 We were able to install Unico in this 200-year old home without compromising its historic integrity. 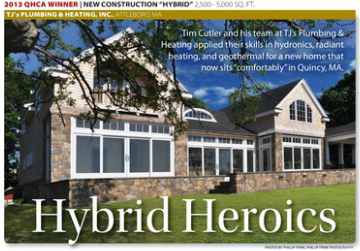 We are proud to have been featured in Radiant Living Magazine for the radiant heat installation we completed in a log cabin in Mendon, MA.